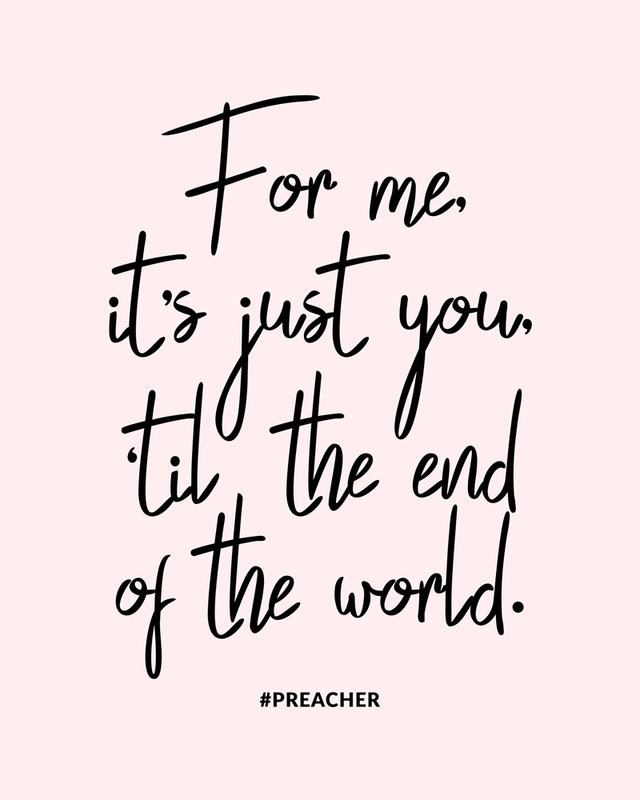 Season 2 of Preacher starts THIS Sunday night, and I am so excited! 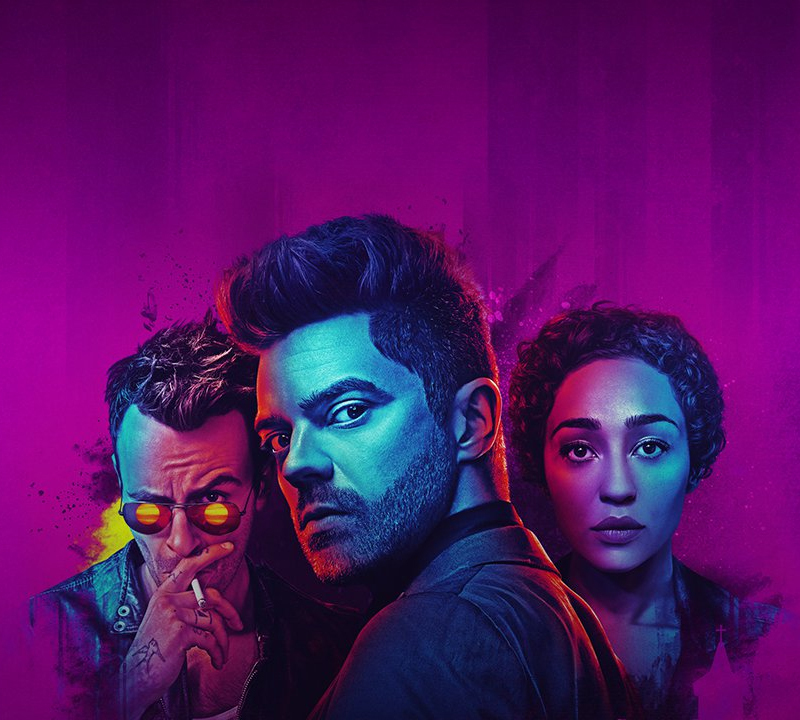 Last year, Preacher became one of my new favorite shows with its ridiculous characters, unpredictable story, and in-your-face action sequences & special effects. This show is a wild ride and I’m very happy that it has a season 2! 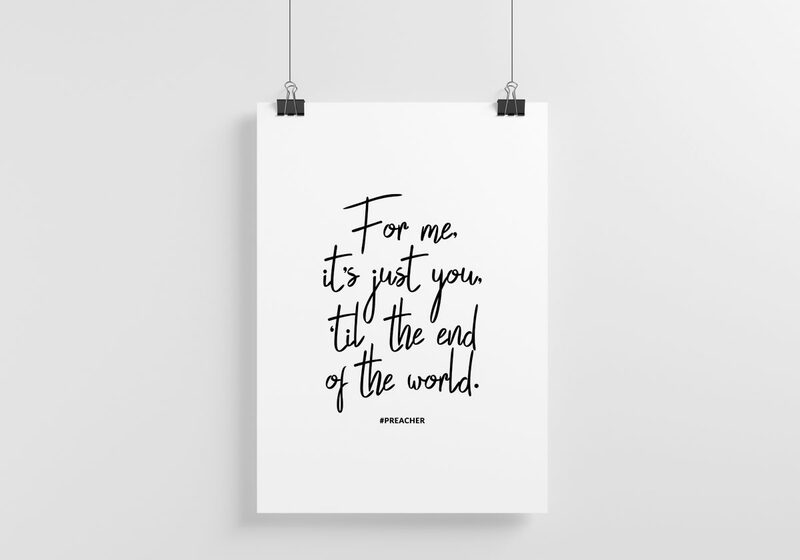 To celebrate, I made a quote print featuring the words Jesse said to Tulip in season 1 episode 8: “For me, it’s just you, ’til the end of the world.” It’s so funny that I chose such a sweet quote though, because this show is anything but that. Anyway, I’m giving the print away for FREE so click the button below to download! 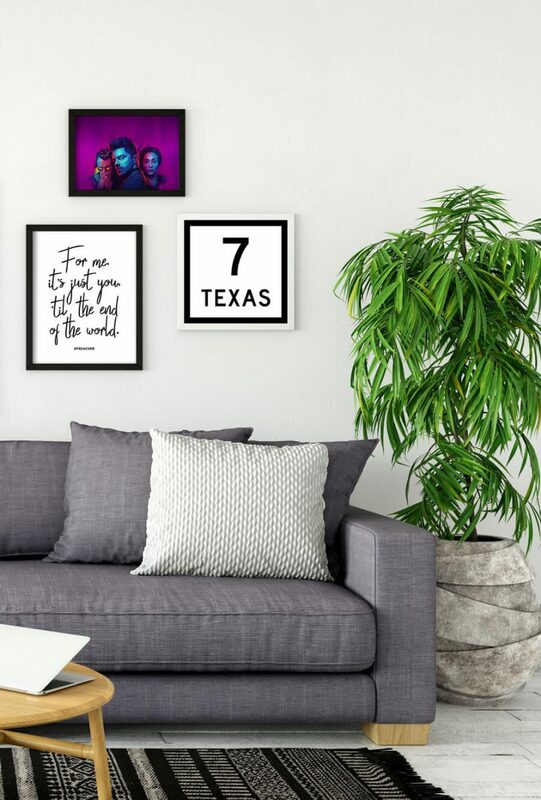 By the way, you’re also interested in the other art in the picture, the Preacher promo art is here and the Texas 7 sign is here.